Syrian rebels have released 48 Iranian hostages held captive since last August as part of a prisoner swap in Damascus, according to Iranian state TV. 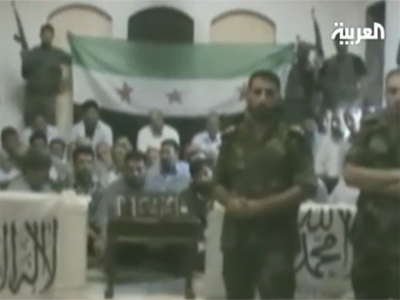 In return for the hostages Syria will release 2,130 rebel prisoners. 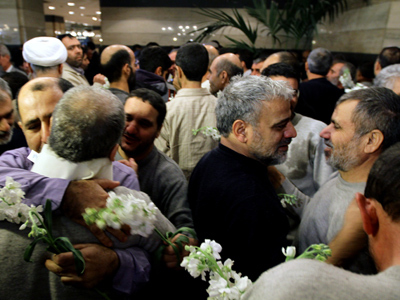 The Syrian government has yet to confirm the release of the Iranian hostages. A Reuters witness saw the Iranian hostages arrive at the Sheraton hotel in central Damascus on Wednesday. They were accompanied by the Iranian ambassador to Syria and looked tired but in good health. Rebels claim the hostages were carrying out covert operations for the Syrian government, while Iran maintains they are retired members of the armed forces who were on a pilgrimage south-east of Damascus. “Most of the prisoners to be swapped are Syrian citizens in exchange for Iranians, and there are a few Turks as well," IHH member Osman Atalay told Reuters. The non-profit group has previously been involved in the release of Turkish and Syrian citizens in Syria. Turkish state news said that the hostage handover deal was brokered by Turkey and Qatar. Iran has previously stated that it has not sent any military enforcements into Syria and that President Assad has not requested military aid from them. “This is the result of months of civil diplomacy carried out by our organization,” said IHH spokesperson Serkan Nergis.